Hello! I’ve been making lots of pies this month and in the process have come up with several updates to our old family recipe. First, I add a little flour to the apple-sugar-cinnamon mixture. This helps thicken the filling just a bit. Not thick like those gelatinous Luby’s pies — just a tad thicker than usual to prevent juice from sloshing all over your crust. Third, I add optional egg wash and sugar to decorate the top. The egg wash goes on before baking, and the sugar can be sprinkled on before the last ten minutes in the oven. Fourth, I update the baking times and temps. The first bake is at 425 for 20 minutes using a pie shield and sheet of tin foil. This high temp will help set the crust, while the shield and foil will help protect it from burning. Then remove the foil, reduce the temp to 375 and bake for 30 minutes longer. Next, remove the pie shield, sprinkle on the sugar and bake for 10-15 minutes more. Fifth, I include instructions for baking the pie from frozen. This is extremely helpful if you want to make the pie ahead of time! Simply remove the pie from the freezer and bake (without thawing) for the times detailed below. Such a time-saver on busy holidays! Let me know if you have additional questions! 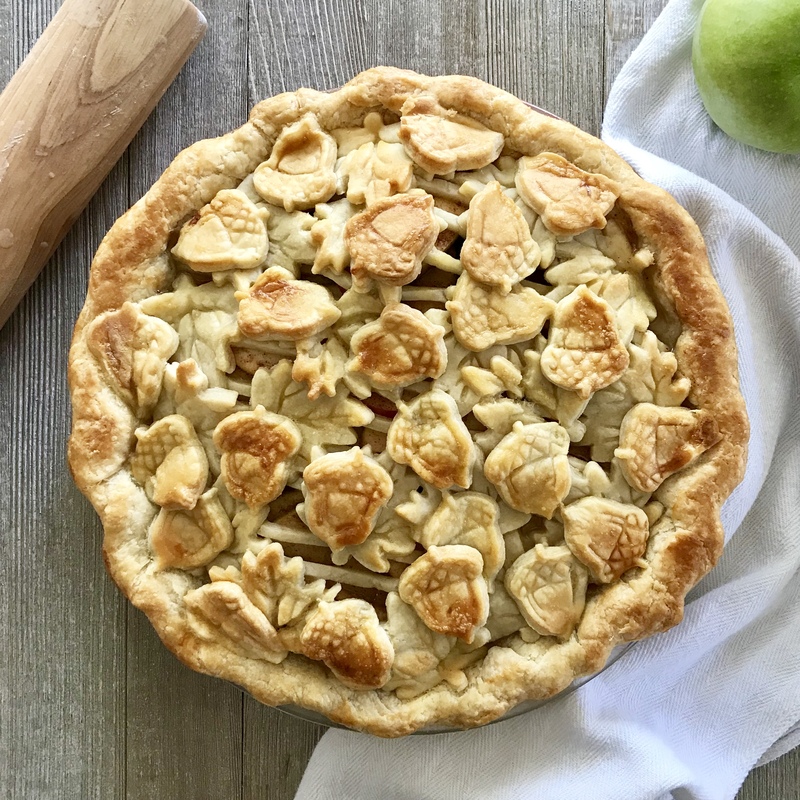 Your questions inspire me to continue to improve this recipe, so I appreciate them all :) Happiest holidays — I hope they are sweet, warm and delicious — like my grandma’s apple pie. One Response to Updated Apple Pie Recipe!